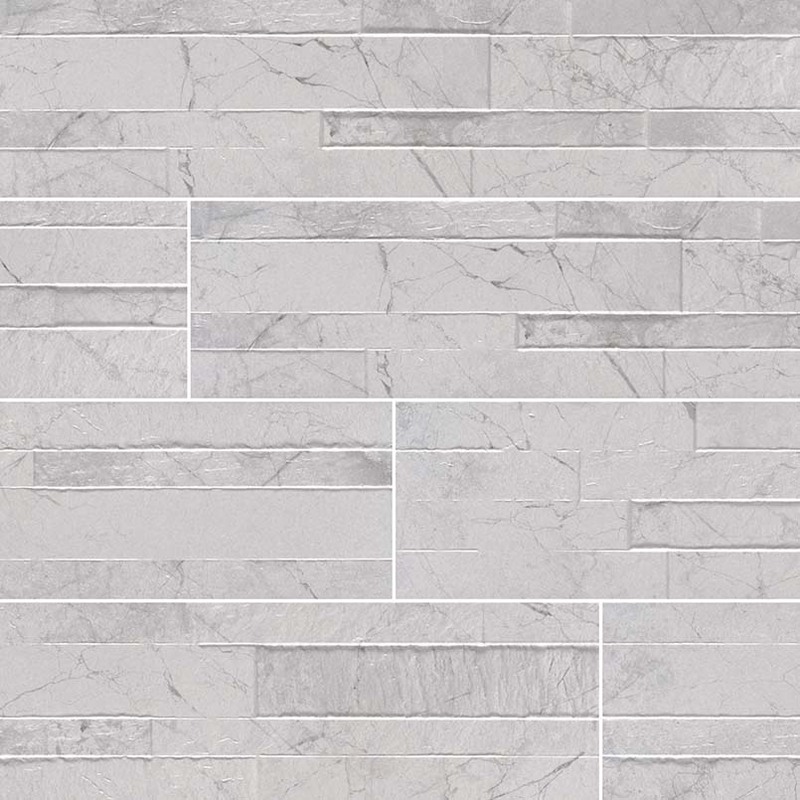 Carrara White Dekora Porcelain Panels are perfect for busy homes and businesses. They are durable, easy to clean, and don't require ongoing maintenance. Designed to look like fine natural marble, these tile panels are perfect for accent walls, showers, fireplace walls, and backslashes. They are suitable for interior and exterior features. The matte finish highlights the veins adding to the character of these stack stoned panels. Imported from Italy, the 6 in.x 24 in. dimensions allow for easy and creative design installations.